Are you planning on going for a weekend away? A home at the seaside would be a wonderful place for a relaxed mini-break. 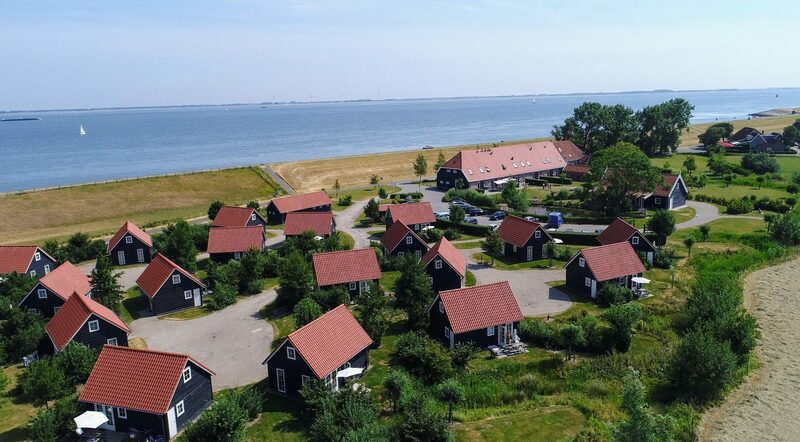 Take a look at the offer of holiday homes at our holiday park De Stelhoeve, a small-scale holiday park at the Oosterschelde in Zeeland. The cozy holiday cottages offer room to two, four or five persons and have been furnished in a stylish and modern fashion. Of course, you'll have all modern comforts and free WiFi at your disposal. This way, you'll feel right at home. 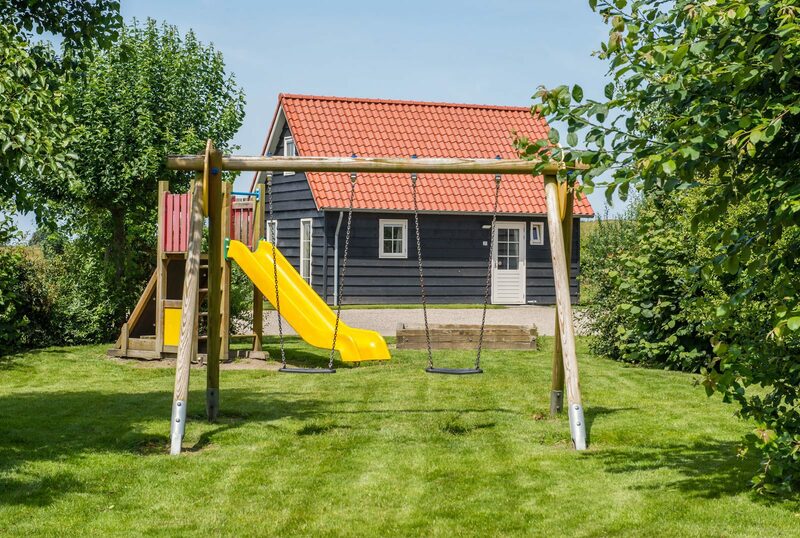 Our small-scale holiday park features 18 charming holiday homes in typically Zeeland style. You'll recognize them by their black gunwale parts, the red roofs and the white window frames. From the homes you'll have a wide view of the meadows, and directly beyond the dike is the beautiful Oosterschelde. The park is situated perfectly for those looking for peace and quiet, cyclists and hikers. The surrounding area offers varied nature, panoramic views of the water and beautiful beaches where you can go sunbathing during summer and catch a breath of fresh air during autumn. Want to rent a home at the seaside for a relaxed vacation? If you'd like to experience a relaxed weekend at the seaside, or a romantic weekend away with your loved one, we would love to welcome you at De Stelhoeve. The quiet park and area with lots of nature are the ideal place for a relaxed vacation in Zeeland. But the region also offers plenty to see and do. Nature enthusiasts will find everything they desire here. You'll be surrounded by the largest nature park in The Netherlands, Oosterschelde National Park. Here, you can go for nature-related activities that are also fun and interesting for children, such as excursions, workshops and many events. Make sure to go on a beautiful boat ride and try to spot some seals and tortoises. The bird spotter should definitely bring their binoculars, as there are many special birds to be seen as well. Is your stomach rumbling after all of those outdoor activities? You can appease it with a diverse offer of delicious Zeeland specialties. Want to rent a house by the sea for a relaxing holiday? If you want to enjoy a relaxing weekend by the sea, or a romantic weekend with the person you love, we will be happy to welcome you at De Stelhoeve. The quiet park and the natural environment are the ideal place for a relaxing holiday in Zeeland. However, there is also plenty to see and do in the region. Nature lovers will certainly get their money's worth here. You are surrounded by the largest nature park in the Netherlands, Eastern Scheldt National Park. You can undertake many nature-oriented activities throughout the year that are also fun and interesting for children, such as excursions, workshops, and many events. Make sure you go on a nice boat trip and try to spot the seals and porpoises. Birdwatchers should make sure to bring their binoculars, because you can also see many rare birds here. Feeling hungry after all those outdoor activities? Enjoy the extensive range of delicious Zeeland specialties.